Some Windows 8.1 customers reported they got message "application stopped running" or “.Net Framework version 1.1 is required” or “.Net Framework version 2.0 is required” to install our software after they updated their system. 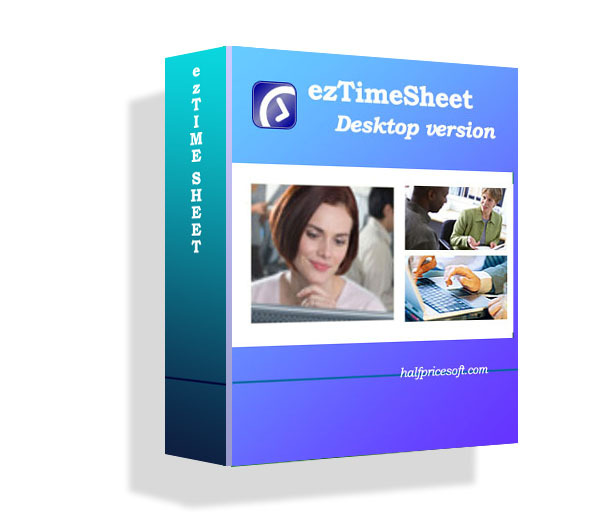 For most customers, such issue can be fixed by installing .net framework 3.5. 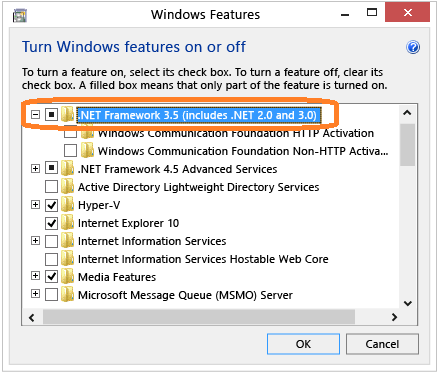 If an app requires the .NET Framework 3.5, but doesn't find that version enabled on your computer, it displays the following message box, either during installation, or when you run the app for the first time. 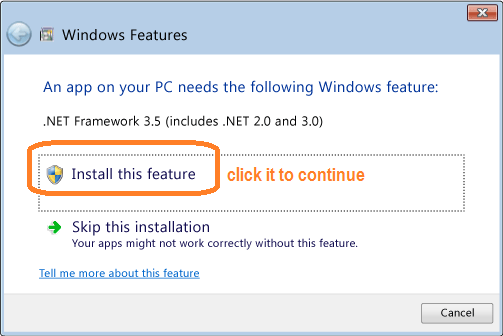 In the message box, choose Install this feature to enable the .NET Framework 3.5. This option requires an Internet connection.